Go to Settings and click on Connectors. Select the Farm Source Connection. 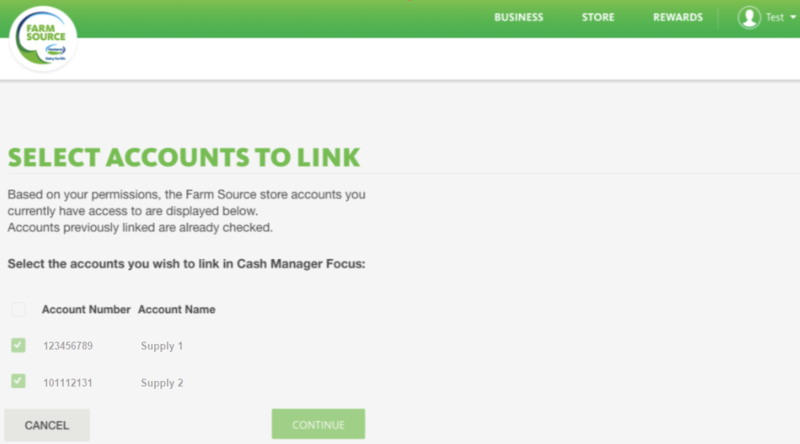 Click on Add new Farm Source account. You'll be taken to the Farm Source login screen to enter your Farm Source Username and Password. Select the accounts you want to link with your Cash Manager Focus farm business. Your request is then sent to both the Cash Manager Focus and Farm Source teams to verify that the account information is correct. This takes approximately 24 hours to complete. Once the connection has been approved, the feed will become Active and you’ll start to receive monthly statements. If you want to disconnect the monthly statement feed at any time, please contact our Helpdesk, and they will disconnect the feed for you.